My addiction with squares continues. And specifically with grids these days. 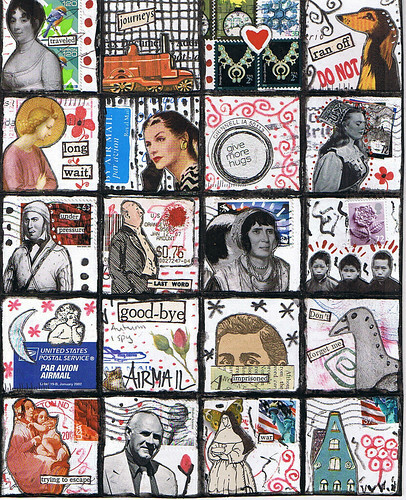 This one is called "Return to Sender" and the grid was made with 2-inch squares cut from envelopes I've received in the mail. As always, click to see bigger.